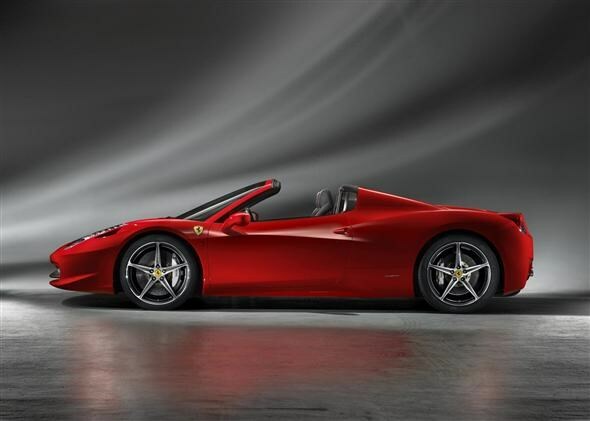 Famous sports car firm Ferrari has revealed the first official pictures of a convertible version of its venerable 458 supercar, known as the 458 Spider. The headline act is a folding hardtop which deploys in 14 seconds and weighs 25kg less than the equivalent folding soft-top assembly. When folded down, the clever two-piece roof slots into a space in front of - and above - the engine, meaning there is enough room in the cabin for some storage space behind the front seats. There are few details around regarding the folding roof, which you can see in action here, barring the fact that it's automated. Expect more pictures and details about the clever mechanism when the car's launched in September at the Frankfurt Motor Show. The roof, however, isn't the only change. Ferrari has also tweaked throttle response and even the note of the exhaust to make the top-down driving experience that tiny bit more memorable. The firm claims you'll notice no difference in driving dynamics whether the roof is up or down, and credit ‘new technical solutions' for that fact. As well as working on the sensual assault this car is capable of, Ferrari has made a passing nod to civility too. An adjustable electric wind-stop means that - according to the firm at least - it's possible to talk normally in the car at speeds of up to 120mph. What a relief. The striking-looking Spider is powered by the same 4.5-litre V8 as the hardtop, making 570bhp and screaming to its maximum RPM of 9,000. This is enough to get the car to 62mph in ‘less than 3.4 seconds' according to the Italian manufacturer. Top speed is ‘more than 198mph'. Again borrowed from the hardtop, the car uses Ferrari's F1-inspired dual-clutch seven-speed automatic transmission and electronic differential to help get all that horsepower down through the rear wheels. With performance figures like this, don't expect cheap running costs. CO2 emissions are 275g/km, so it'll cost £1,000 for showroom tax in the first year and then £460 each year thereafter. Fuel economy is 24mpg, so you'll be no stranger at your local petrol station either. No official pricing for the Spider has been announced but, with the standard coupe weighing in at £173,182, don't expect much change from £200,000. 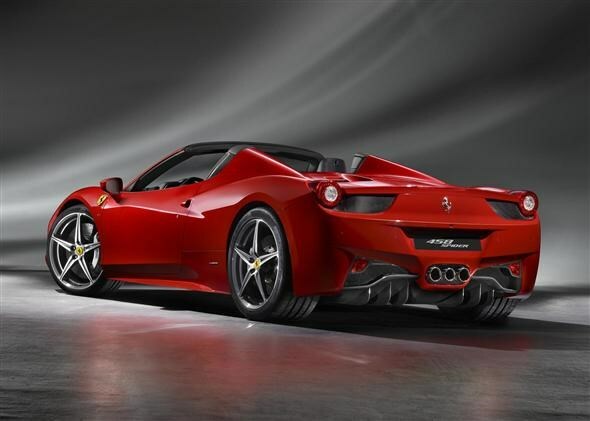 More details will be revealed during the Ferrari 458 Spider's launch at the Frankfurt Motor Show in September. 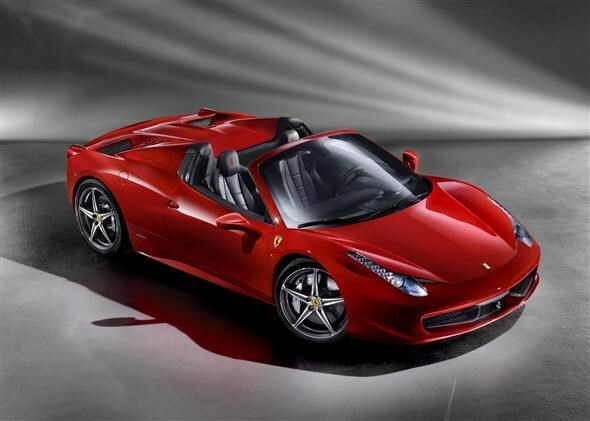 Did you know the most popular review for the 458 range is the Ferrari 458 review.